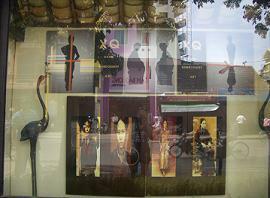 Unbelievably true, that in the heart of the town Hue, Vietnam there is a fine arts exhibit specializing in embroidery. Yeah, I can’t believe that that it’s really free to visit and view the finest collection and displays of their contemporary art- Embroidery. The “XQ Arts and Crafts” located beside the Century Riverside Hotel at Le Loi Road, near Huong River has a small but packed collection of embroidery. Most of the workers are workers and definitely embroideries are left in the hands of these sweet and nice Vietnamese Craftswomen. They buy copyrighted arts to make an embroidered version of it. This is great place to visit in Hue if you are into arts and style. The exhibit is totally new and absolutely contemporary. Well, you will find out as you visit them. Cosmopolitan style of arts. Stylish, chic, artistic, and ethical. Their sales goes to their craft-workers to fund their studies, needs, and other charities. Read more of my posts about the “XQ Crafts and Arts”. It is also called “The Village for Arts and Craftswomen of Hue”.